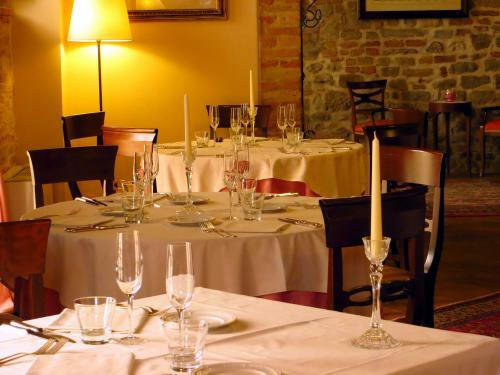 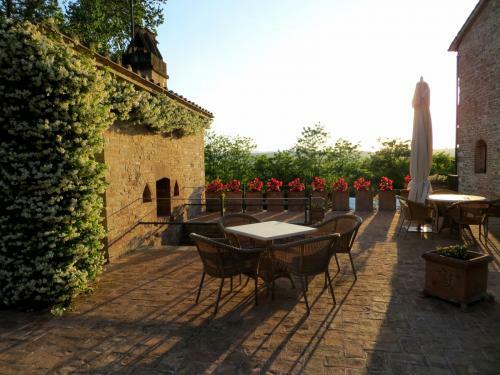 L'Antico Forziere, Restaurant and Country House Hotel, is a XVII° century farmhouse regarded locally as an important piece of rural history. 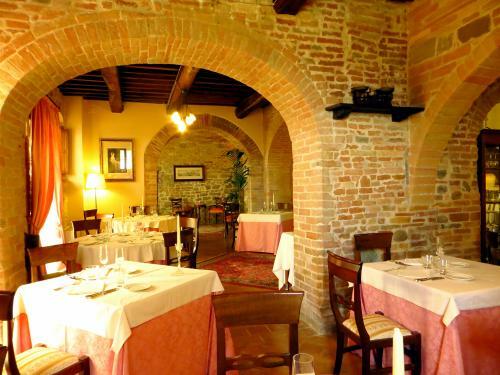 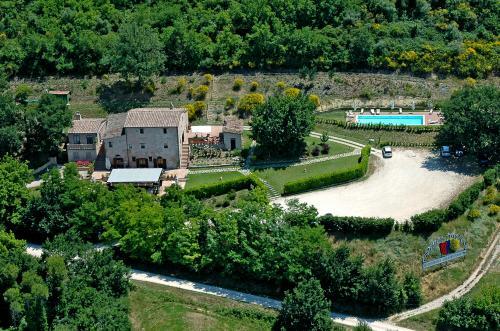 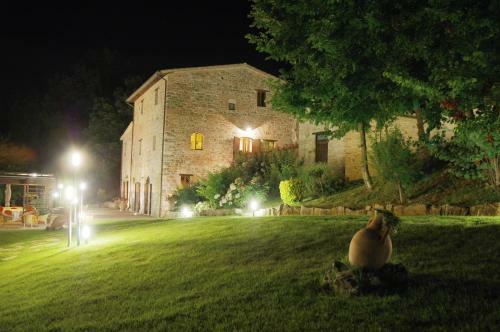 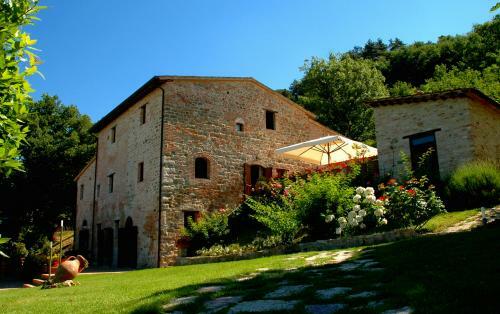 It is situated in Umbria, the green heart of Italy, near Deruta, the town world-famous for ceramic art, and very close to Assisi, Perugia, Todi and Spoleto.In their warm manner the Rodella family welcomes guests into this ancient building where huge beams, brick arches and wonderful views all lend a special atmosphere. 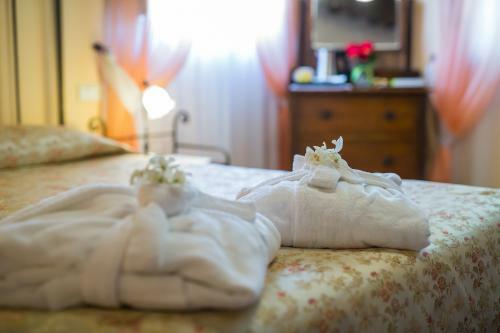 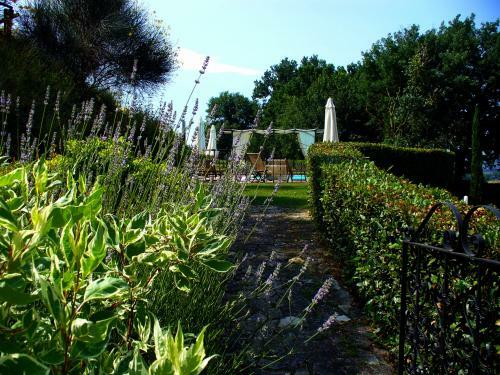 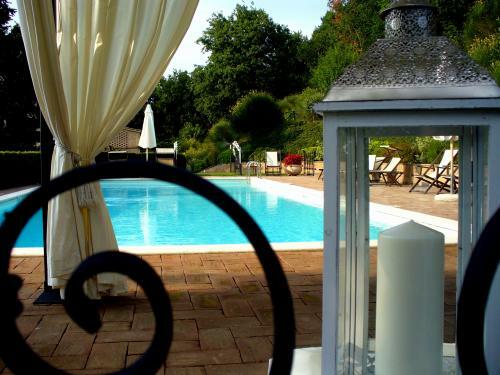 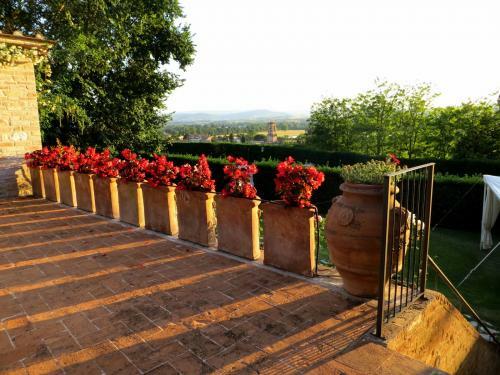 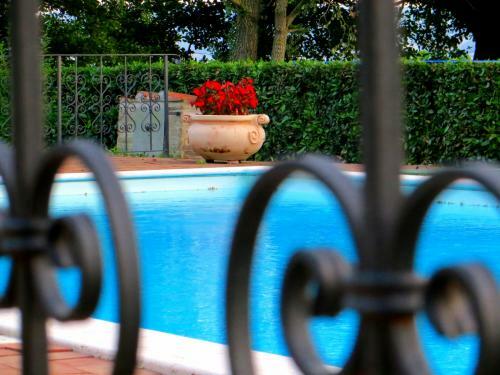 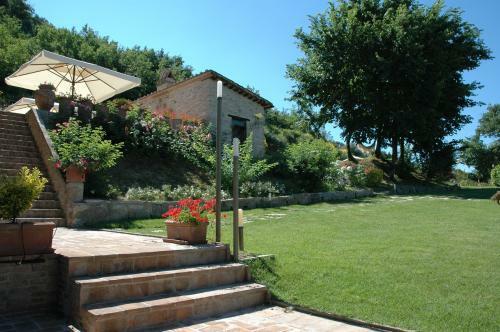 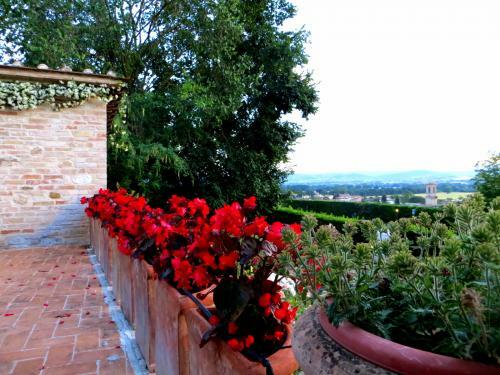 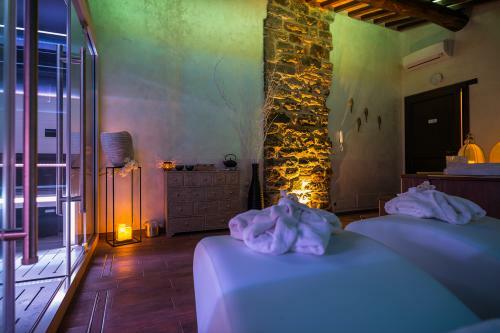 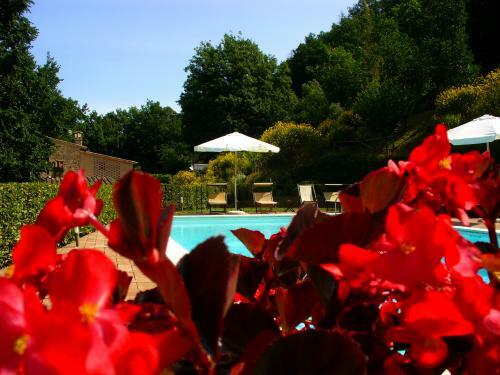 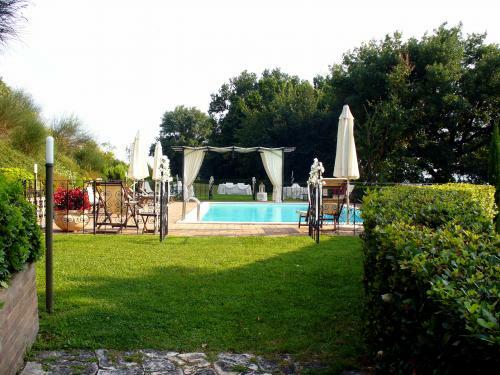 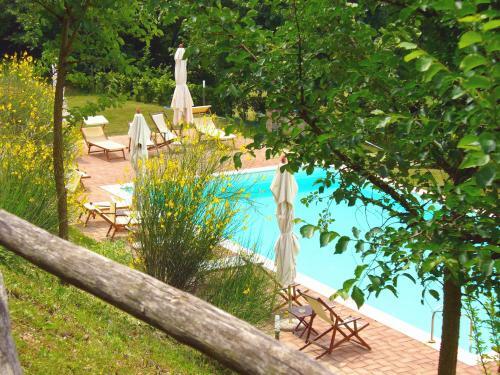 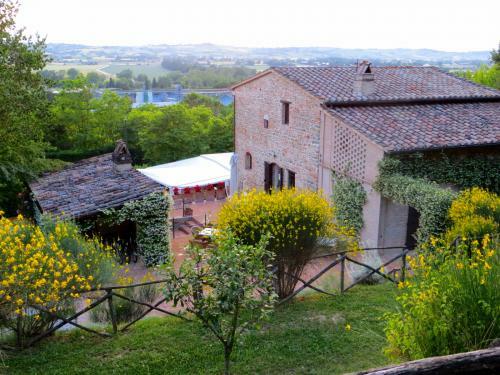 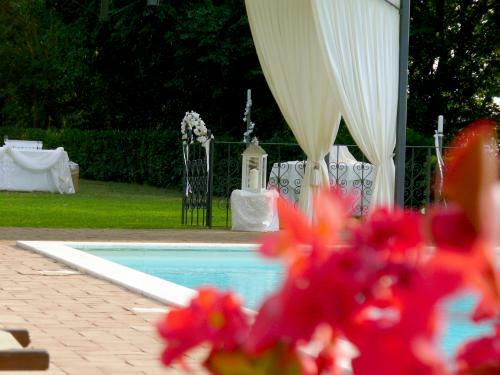 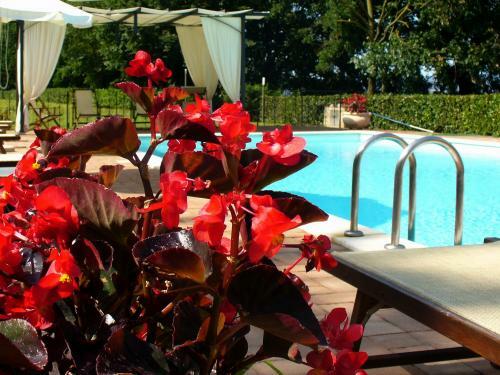 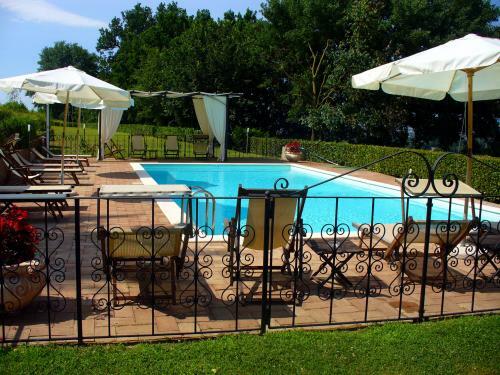 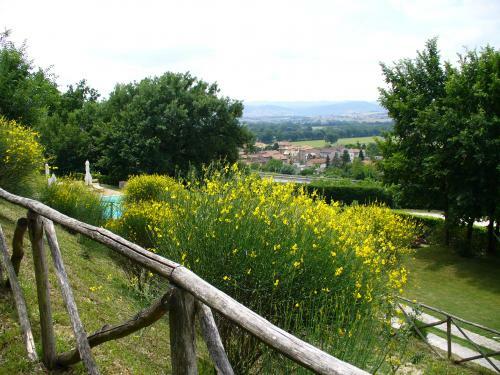 Garden with its flowers and scents and the picturesque swimming pool overlook the wide Tiber River valley.L'Antico Forziere welcomes guests in two suites each with its own entrance onto the garden, and seven double rooms furnished with a great care of particulars. 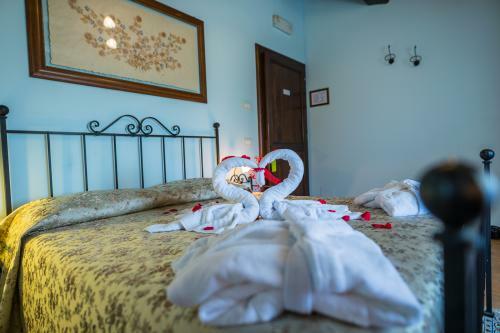 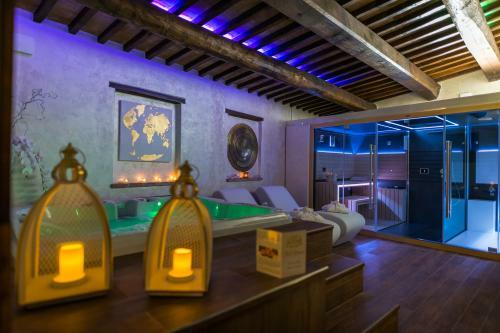 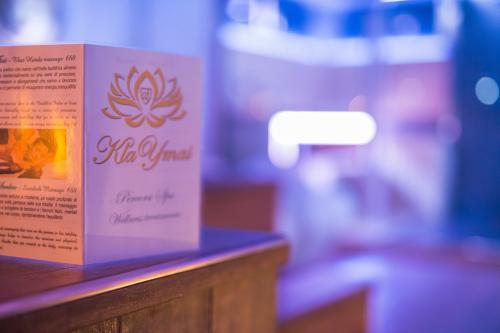 Each kind of room has private bathroom with hair dryer, safe, minibar, TV, telephone, free Wi-Fi connection, air conditioning, linen in the room and daily cleaning. 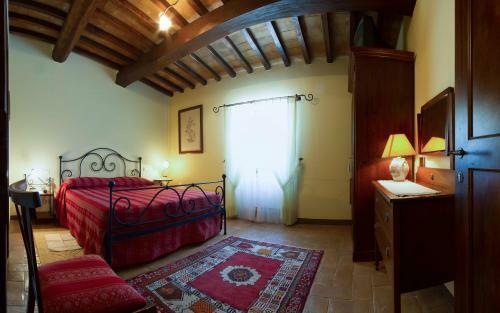 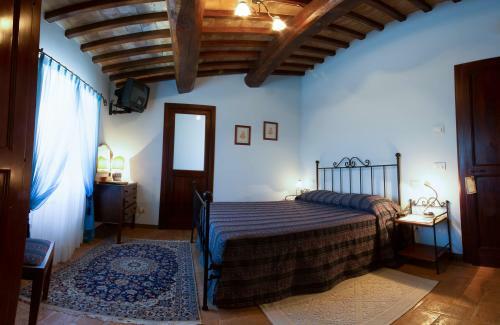 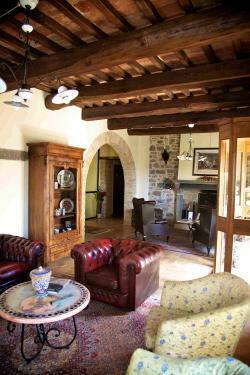 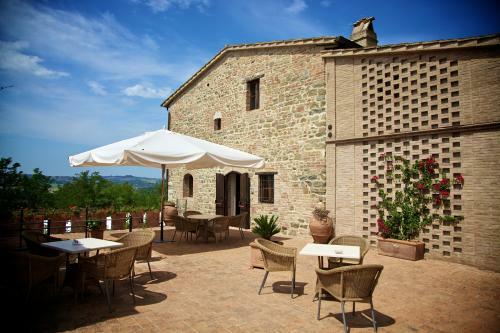 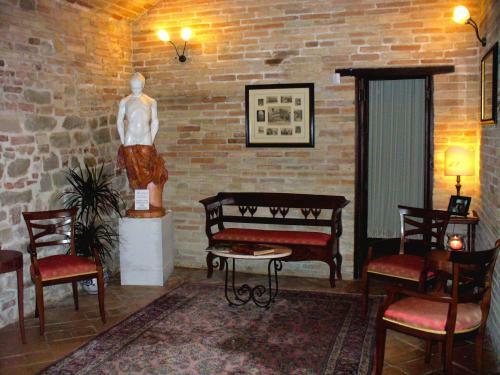 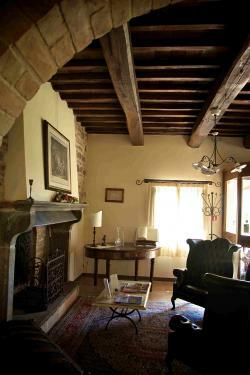 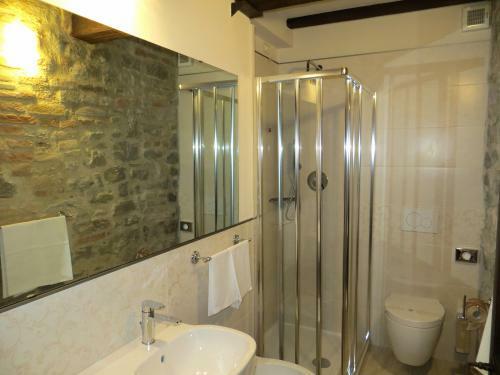 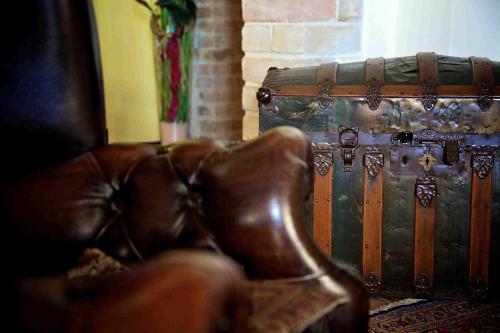 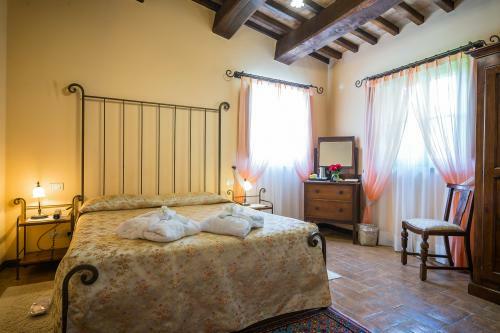 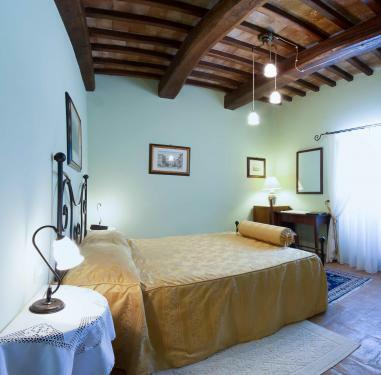 Each one has also fine curtains and ceramics, exposed wooden beams and wrought iron beds. 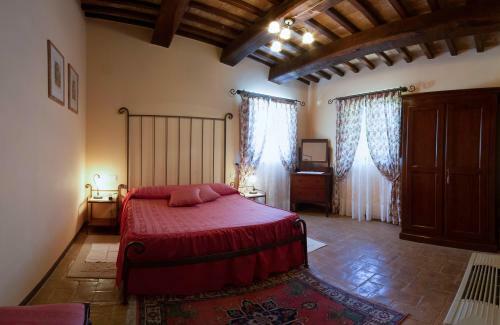 Each Suite has just one room on two levels and it is bigger than a standard double room. 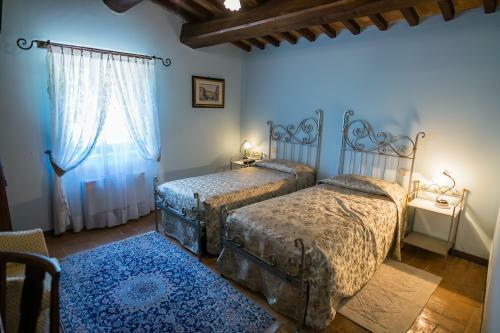 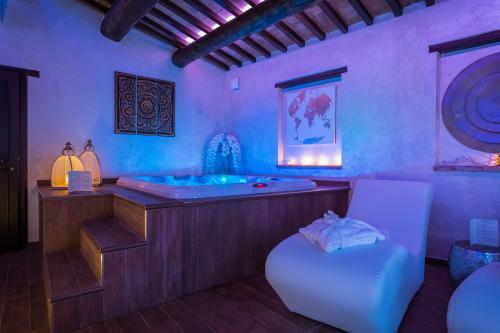 They have the double bed on a wood loft and at the ground floor there's the bathroom, a dining room with sofa bed for children and the door for the garden in the back side of the hotel. 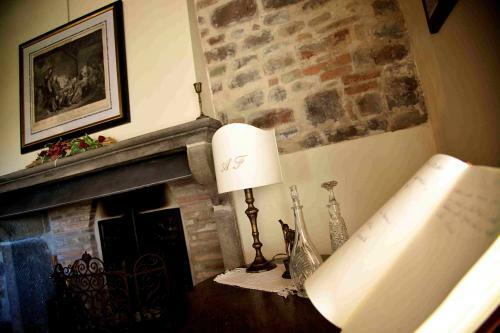 Our guests can enjoy pleasant moments of relax in the bright reading room enriched by a big fireplace giving the room a softly warm atmosphere.The country house has also an exclusive private SPA.Restaurant offers a blend of traditional and creative cooking resulting in mouth-watering dishes that complement perfectly the atmospheric dining room or the summer terrace for lunch or for dinner by candlelight.